Penamacor Castle stands in a rocky hill over the town of Penamacor, north ofMonsanto, in Castelo Branco. It mingles with the rural and urban landscape with its slender keep. 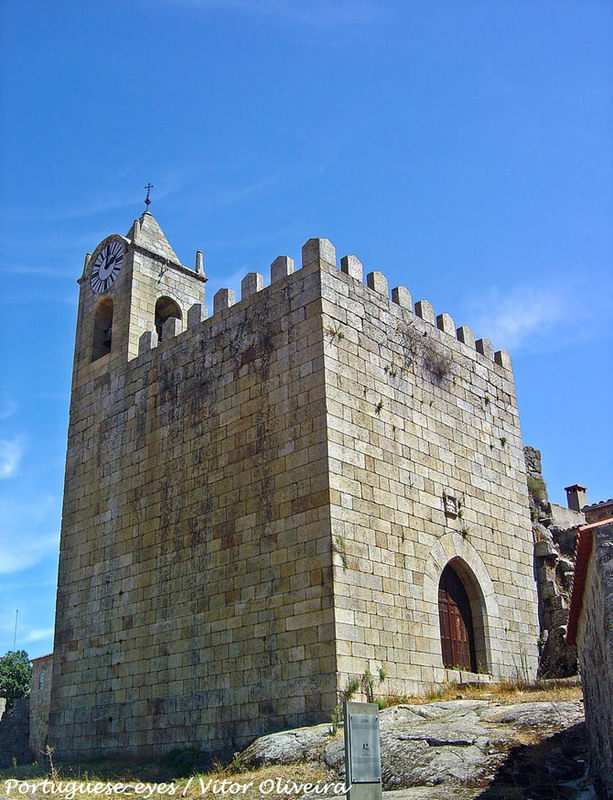 Its establishment dates back to the rebuilding of the great fortress of Penamacor during the reign of King D. Sancho. During the reign of King D. Dinis, the towers and vast walls that protect the town were erected. It was King D. fernando and D. João I who commanded new works to be done in the walls to accommodate new artillery innovations. Already in the 16th century, King D. Manuel added a vigilance tower and, later, during the Restoration Wars, new walls were added, along with six battlements, and three half-battlements. During that century, the Casa de Càmara was also built, integrated to the gate that gave access to the town. This gate, along with the keep and parts of the old 17th century walls, are all that remains today from the castle that once was the most powerful in the area. Nowadays, the keep is a museum and an archaeological collection is exhibited here that was collected from the excavations in the “alcàçova” and Pillory. This excavations allowed to determine the long period of occupation of the place, from the Neolithic onwards. There is also a scaled miniature of the old walled neighbourhood from the early 16th century.